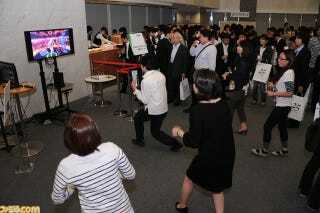 Hey Look, Japanese People Playing Kinect! Resident Evil's Milla Jovovich, Now Yours to Buy Milla Jovovich, star of the Resident Evil series of films, is now the star of an exquisite Resident Evil action figure, with Hong Kong company Hot Toys recreating her in this 28cm piece. You Will Not Believe These Star Wars Pictures Are Real These photos (and they are genuine photos, not a photoshops), of Grand Moff Tarkin, were taken in 2011. Yet the man who played the Star Wars villain, screen legend Peter Cushing, died in 1994. Insanely Fast Button Presser Says Goodbye For nearly 30 years, Hudson's human mascot has been Takahashi Meijin, who rose to prominence during the company's heyday. Today, he revealed he's leaving the company. The Secret Life of Metal Gear 's Songstress Meet Donna Burke. The Australian-born talent moved to Japan in 1996, and since then, she's left her mark on gaming. Sephiroth, an Engineer and Samus Walk into a Bar... The incredible Sephiroth (Final Fantasy VII) cosplay you see up top is just a taste of some of the work on display in this week's cosplay roundup, in which tribute is paid to games like Team Fortress 2, World of Warcraft and Dragon Age 2.